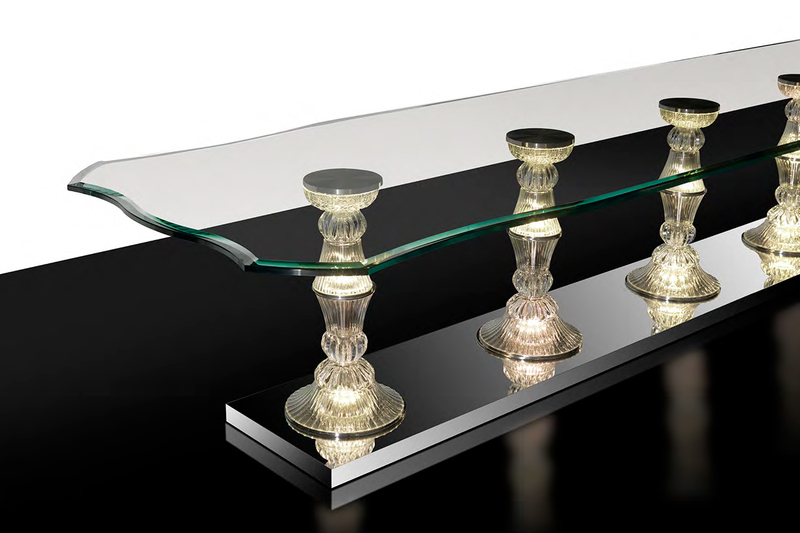 Luxury Italian Table with bases composed by elements in refined engraved crystal. 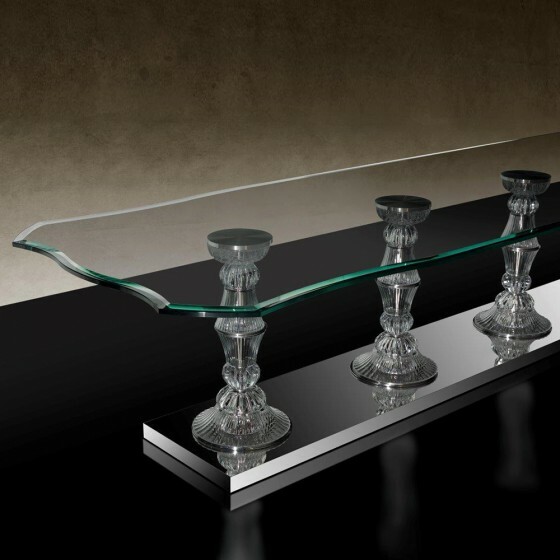 This exclusive handmade table has a plinth in extra clear mirror glass with unique frame in supersilver steel. 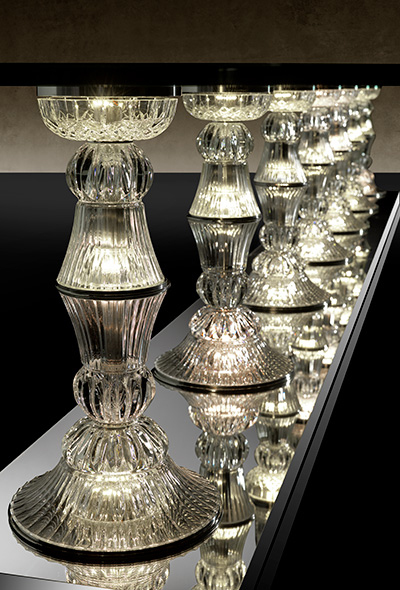 Spectacular top in extra clear glass, 3/4” thick, with beautiful shaped edges. 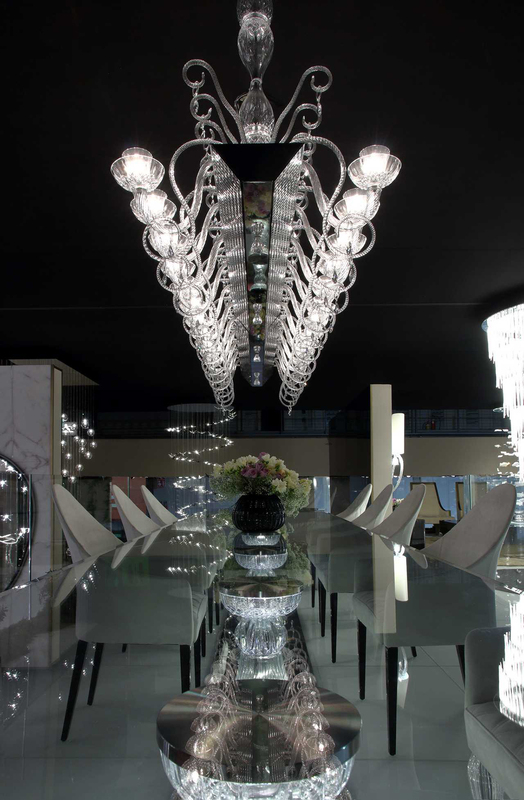 It also has a sophisticated LED lighting system in each base with rechargeable battery. This Italian furniture is a designer piece worthy of admiration. A true work of art in the Glamour style. 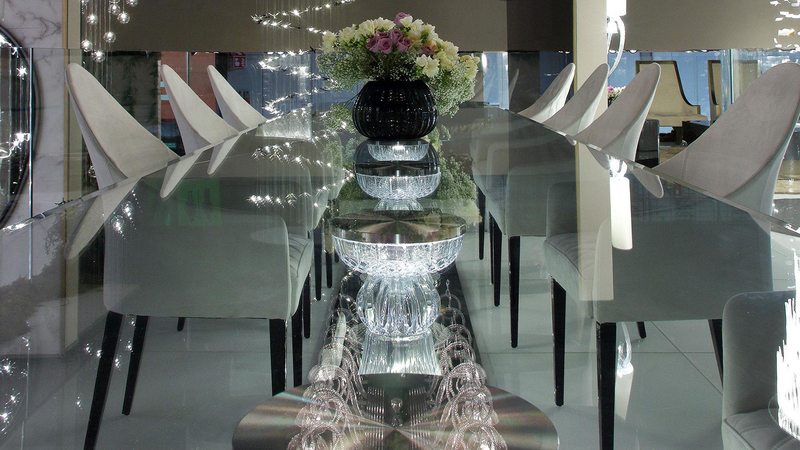 Glamour Italian Palazzo Ducale Side table made of various elements in an exclusive engraved crystal .. 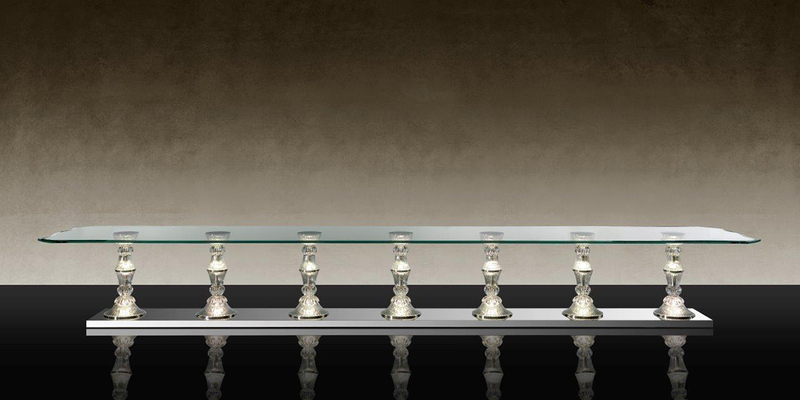 This luxury Palazzo Ducale Sideboard has its structure in shiny lacquered wood with application of b.. This luxury Palazzo Ducale Low Sideboard has its structure in shiny lacquered wood with application ..
Peggy Alta armchair with foamed wooden structure and covered in leather. Legs in nero beluga matt la..